This Agreement is subject to change by flourishsupportiveliving.com at any time, effective upon posting on the relevant website. Your continued use of the Websites and the Service following flourishsupportiveliving.com posting of revised terms of any section of the Agreement will constitute your express and binding acceptance of and consent to the revised Agreement. Electronic Agreement. This Agreement is an electronic contract that sets out the legally binding terms of your use of the Websites and the Service. This Agreement may be modified by flourishsupportiveliving.com from time to time, such modifications to be effective upon posting by flourishsupportiveliving.com on the Websites. By accessing and/or using the Websites or becoming a Member, you accept this Agreement and agree to the terms, conditions and notices contained or referenced herein. Illegal and/or unauthorized uses of the Websites include, but are not limited to, browsing or downloading illegal content, collecting usernames and/or email addresses of members by electronic or other means for the purpose of sending unsolicited email, unauthorized framing of or linking to the Websites, sharing or disclosing your username or password to any third party or permitting any third party to access your account, attempting to impersonate another user or person, use of the Websites in any fraudulent or misleading manner, any automated use of the system, such as scraping the Websites, automated scripts, spiders, robots, crawlers, data mining tools or the like, interfering with, disrupting, or creating an undue burden on the Websites or the networks or services connected to the Websites, and using the Websites in a manner inconsistent with any and all applicable laws and regulations. Illegal and/or unauthorized use of the Websites may be investigated, and appropriate legal action may be taken, including without limitation, civil, criminal, and injunctive redress. Use of the Websites and Service is with the permission of flourishsupportiveliving.com , which may be revoked at any time, for any reason, in flourishsupportiveliving.com’s sole discretion. 3. Account Security. You are responsible for maintaining the confidentiality of the username and password that you designate during the registration process, and you are fully responsible for all activities that occur under your username and password. You agree to (a) immediately notify flourishsupportiveliving.com of any unauthorized use of your username or password or any other breach of security, and (b) ensure that you exit from your account at the end of each session. flourishsupportiveliving.com will not be liable for any loss or damage arising from your failure to comply with this provision. You should use particular caution when accessing your account from a public or shared computer so that others are not able to view or record your password or other personal information. If you share your computer with others, you may wish to consider disabling your auto-login feature if you have it linked to your flourishsupportiveliving.com account. b. You must not copy or capture, or attempt to copy or capture, any content from the Websites (the “Content”) or any part of the Websites, unless given express permission by flourishsupportiveliving.com . m. You must not stalk, exploit, threaten, abuse or otherwise harass another user, or any flourishsupportiveliving.com employee. If we feel that your behavior towards any of our employees is at any time threatening or offensive, we reserve the right to immediately terminate your membership and you will not be entitled to any refund of unused subscription fees. n. You must not sell or transfer, or offer to sell or transfer, any flourishsupportiveliving.com account to any third party without the prior written approval of flourishsupportiveliving.com . p. You must not violate, circumvent or attempt to violate or circumvent any data security measures employed by flourishsupportiveliving.com or any Uploader; access or attempt to access data or materials which are not intended for your use; log into, or attempt to log into, a server or account which you are not authorized to access; attempt to scan or test the vulnerability of flourishsupportiveliving.com’s servers, system or network or attempt to breach flourishsupportiveliving.com’s data security or authentication procedures; attempt to interfere with the Websites or the Services by any means including, without limitation, hacking flourishsupportiveliving.com’s servers or systems, submitting a virus, overloading, mail-bombing or crashing. Without limitation to any other rights or remedies of flourishsupportiveliving.com under these Terms of Service, flourishsupportiveliving.com reserves the right to investigate any situation that appears to involve any of the above, and may report such matters to, and cooperate with, appropriate law enforcement authorities in prosecuting any users who have participated in any such violations. You agree to comply with the above conditions, and acknowledge and agree that flourishsupportiveliving.com has the right, in its sole discretion, to terminate your account or take such other action as we see fit if you breach any of the above conditions or any of the other terms of these Terms of Service. This may include taking court action and/or reporting offending users to the relevant authorities. a. Your Content, and each and every part thereof, is an original work by you, or you have obtained all rights, licenses, consents and permissions necessary in order to use, and (if and where relevant) to authorize flourishsupportiveliving.com to use, Your Content pursuant to these Terms of Service, including, without limitation, the right to upload, reproduce, store, transmit, distribute, share, publicly display, publicly perform, make available and otherwise communicate to the public Your Content, and each and every part thereof, on, through or via the Websites, any and all Services and any third party services. e. Your Content does not and will not create any liability on the part of flourishsupportiveliving.com , its subsidiaries, affiliates, successors, and assigns, and their respective employees, agents, directors, officers and/or shareholders. flourishsupportiveliving.com reserves the right to remove Your Content, suspend or terminate your access to the Platform and/or pursue all legal remedies if we believe that any of Your Content breaches any of the foregoing representations or warranties, or otherwise infringes another person’s rights or violates any law, rule or regulation. 6. Term. This Agreement will remain in full force and effect while you use the Websites and/or Service. You may terminate your membership and/or subscription at any time by contacting us at info@flourishsupportiveliving.com . If you resign or cancel your membership and/or subscription to flourishsupportiveliving.com , to help flourishsupportiveliving.com analyze and improve the Service, you may be asked to provide a reason for your resignation/cancellation. 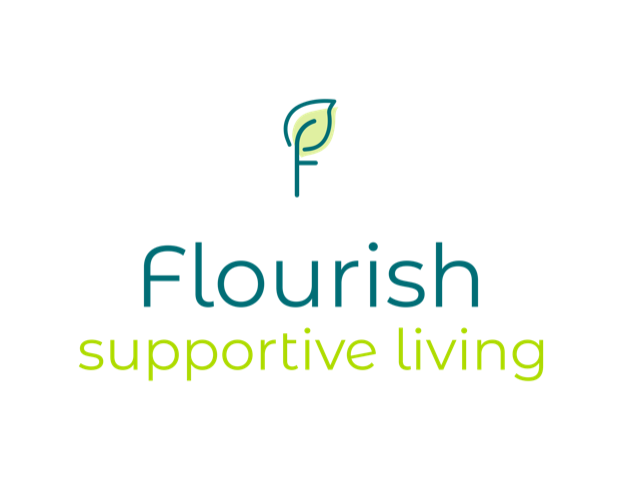 flourishsupportiveliving.com may terminate your membership and/or subscription for any reason by sending notice to you at the email address you provide in your application for membership, or such other email address as you may later provide to flourishsupportiveliving.com . If flourishsupportiveliving.com terminates your membership in the Service because you have breached this Agreement, you will not be entitled to any refund of unused subscription fees. All decisions regarding the termination of accounts shall be made in the sole discretion of flourishsupportiveliving.com . flourishsupportiveliving.com is not required to provide you notice prior to terminating your membership and/or subscription. flourishsupportiveliving.com is not required, and may be prohibited, from disclosing a reason for the termination of your account. Even after your membership or subscription is terminated, this Agreement will remain in effect. All terms that by their nature may survive termination of this Agreement shall be deemed to survive such termination. 7. Modifications to Service. flourishsupportiveliving.com reserves the right at any time to modify or discontinue, temporarily or permanently, the Service (or any part thereof) with or without notice. You agree that flourishsupportiveliving.com shall not be liable to you or to any third party for any modification, suspension or discontinuance of the Service. 8. Blocking of IP Addresses. In order to protect the integrity of the Services, flourishsupportiveliving.com reserves the right at any time in its sole discretion to block Members from certain IP addresses from accessing the Websites. a. Proprietary Rights. flourishsupportiveliving.com retains all proprietary rights in the Websites and the Service. The Websites contains the copyrighted material, trademarks, and other proprietary information of flourishsupportiveliving.com, and its licensors. Except where we have given you express written permission, you may not copy, modify, publish, transmit, distribute, perform, display, or sell any such proprietary information. All content on flourishsupportiveliving.com is proprietary. Except where otherwise specified in this Agreement, all Content is copyrighted material of flourishsupportiveliving.com and for flourishsupportiveliving.com’s Members’ use only. Distribution of Content to others is strictly prohibited. You agree that flourishsupportiveliving.com would be irreparably harmed by any violation or threatened violation of this section and that, therefore, flourishsupportiveliving.com shall be entitled to an injunction prohibiting you from any violation or threatened violation of this section, without posting bond, in addition to any other right or remedy it may have. We may provide links to third party websites, and some of the content appearing on flourishsupportiveliving.com may be supplied by third parties. flourishsupportiveliving.com has no responsibility for these third party websites nor for their content, which is subject to and governed by the Terms of Service and/or privacy policies, if any, of the applicable third party content providers. You agree that any content you upload to the Websites and/or the Service (“Your Content”) shall become the property of flourishsupportiveliving.com . This shall have no effect on Sections ___ (Copyright Policy), _____ (Limitation of Liability), and _____ (Indemnity by You) of this Agreement. However, with respect to Your Content, flourishsupportiveliving.com grants you a worldwide, royalty-free and non-exclusive license(s) to use, distribute, reproduce, and publicly display such content, except with regard to commercial or for-profit use account. 10. Restrictions on Use of Materials. You acknowledge that flourishsupportiveliving.com contains images, text, and other content (collectively, “Intellectual Property”) that is protected by copyrights, patents, trademarks, trade secrets and/or other proprietary rights, and that these rights are valid and protected in all forms, media and technologies existing now or hereafter developed. All Intellectual Property is copyrighted under the United States copyright laws (and, if applicable, similar foreign laws), and flourishsupportiveliving.com owns a copyright in the selection, coordination, arrangement and enhancement of such Intellectual Property. All trademarks appearing on this Websites are trademarks of their respective owners. You may not modify, publish, transmit, distribute, perform, participate in the transfer or sale, create derivative works of, or in any way exploit, any of the Intellectual Property, in whole or in part. When Intellectual Property is downloaded to your computer, you do not obtain any ownership interest in such Intellectual Property. Modification of the Intellectual Property or use of the Intellectual Property for any other purpose, including, but not limited to, use of any Intellectual Property in printed form or on any other website or networked computer environment is strictly prohibited unless you receive our prior written consent. 11. Copyright Policy. flourishsupportiveliving.com prohibits the submission or posting of any information that infringes or violates the copyright rights and/or other intellectual property rights (including rights of privacy and publicity) of any person or entity. flourishsupportiveliving.com will process any notice of alleged infringement which it receives and will take appropriate action as required by the Digital Millennium Copyright Act (DMCA) 17 U.S.C. 512(c)(3) or other applicable copyright law. U.S. law provides significant penalties for submitting such a statement falsely. Under appropriate circumstances, persons who repeatedly submit infringing or unlawful material will be prohibited from posting further submissions. 12. Liability for Content. You hereby acknowledge and agree that flourishsupportiveliving.com (i) stores Content and other information at the direction, request and with the authorization of its users, (ii) acts merely as a passive conduit and/or host for the uploading, storage and distribution of such Content, and (iii) plays no active role and gives no assistance in the presentation or use of the Content. You are solely responsible for all of Your Content that you upload, post or distribute to, on or through the Websites, and to the extent permissible by law, flourishsupportiveliving.com excludes all liability with respect to all Content (including Your Content) and the activities of its users with respect thereto. You hereby acknowledge and agree that flourishsupportiveliving.com cannot and does not review the Content created or uploaded by its users, and neither flourishsupportiveliving.com nor its subsidiaries, affiliates, successors, assigns, employees, agents, directors, officers and shareholders has any obligation, and does not undertake or assume any duty, to monitor the Websites for Content that is inappropriate, that does or might infringe any third party rights, or has otherwise been uploaded in breach of these Terms of Service or applicable law. flourishsupportiveliving.com and its subsidiaries, affiliates, successors, assigns, employees, agents, directors, officers and shareholders hereby exclude, to the fullest extent permitted by law, any and all liability which may arise from any Content uploaded to the Websites by users, including, but not limited to, any claims for infringement of intellectual property rights, rights of privacy or publicity rights, any claims relating to publication of defamatory, pornographic, obscene or offensive material, or any claims relating to the completeness, accuracy, currency or reliability of any information provided by users of the Websites. By using the Websites, you irrevocably waive the right to assert any claim with respect to any of the foregoing against flourishsupportiveliving.com or any of its subsidiaries, affiliates, successors, assigns, employees, agents, directors, officers or shareholders. 13. Repeat Infringers. flourishsupportiveliving.com will suspend or terminate your access to the Websites if flourishsupportiveliving.com determines, in its sole and reasonable discretion, that you have repeatedly breached these Terms of Service. We will also suspend or terminate your account without warning if ordered to do so by a court, and/or in other appropriate circumstances, as determined by flourishsupportiveliving.com at its sole discretion. 14. Limitation of Liability. In no event shall flourishsupportiveliving.com be liable for any damages whatsoever, whether direct, indirect, general, special, compensatory, consequential, and/or incidental, arising out of or relating to the Websites or Service, or use thereof. Nothing contained in this Websites or in any written or oral communications from flourishsupportiveliving.com or its employees or agents shall be construed to make any promise, covenant, or guaranty, all of which are explicitly disclaimed hereby, contrary to the statements and disclaimers contained in this paragraph. The content and functionality on the Websites and the services provided by employees of the Websites are offered “as is” without warranty of any kind, either express or implied, including, without limitation, implied warranties of merchantability, fitness for a particular purpose, title and non-infringement. flourishsupportiveliving.com makes no warranties, express or implied, as to the ownership, accuracy, completeness or adequacy of the Websites’ content or that the functionality of the Websites will be uninterrupted or error-free or free from virus or third party attack. You hereby acknowledge that your use of the Websites and the Service is at your sole risk. UNDER NO CIRCUMSTANCES SHALL flourishsupportiveliving.com , ITS OFFICERS, OWNERS, EMPLOYEES OR AGENTS AND THEIR RESPECTIVE HEIRS, SUCCESSORS AND ASSIGNS BE LIABLE FOR ANY DAMAGES, INCLUDING DIRECT, INCIDENTAL, PUNITIVE, SPECIAL, CONSEQUENTIAL OR EXEMPLARY DAMAGES THAT DIRECTLY OR INDIRECTLY RESULT FROM USE OF, OR INABILITY TO USE, THE WEBSITES OR SERVICE OR THE INFORMATION CONTAINED THEREIN, INCLUDING WITHOUT LIMITATION FOR VIRUSES ALLEGED TO HAVE BEEN OBTAINED FROM THE WEBSITES, EVEN IF flourishsupportiveliving.com HAS BEEN NOTIFIED OF THE POSSIBILITY OF SUCH DAMAGES OR LOSSES AND REGARDLESS OF THE THEORY OF LIABILITY. TO THE GREATEST EXTENT PERMITTED BY LAW, YOU AGREE THAT IN NO EVENT WILL flourishsupportiveliving.com HAVE ANY LIABILITY, CONTINGENT OR OTHERWISE, FOR ANY INDIRECT, SPECIAL, INCIDENTAL, CONSEQUENTIAL, OR EXEMPLARY DAMAGES IN ANY WAY ARISING OUT OF OR RELATING TO THE AGREEMENT, WEBSITES OR THE SERVICE, INCLUDING, BUT NOT LIMITED TO LOST PROFITS; LOST DATA; LOSS OF GOODWILL; COPYRIGHT, TRADEMARK, OR OTHER INTELLECTUAL PROPERTY INFRINGEMENT; WORK STOPPAGE; EQUIPMENT FAILURE OR MALFUNCTION; ILLEGAL, IMMORAL OR FRAUDULENT ACTIVITY; PERSONAL INJURY; PROPERTY DAMAGE; OR ANY OTHER DAMAGES OR LOSSES, EVEN IF flourishsupportiveliving.com HAS BEEN ADVISED OF THE POSSIBILITY THEREOF, AND REGARDLESS OF THE LEGAL OR EQUITABLE THEORY (CONTRACT, TORT, STATUTE, INDEMNITY OR OTHERWISE) UPON WHICH SUCH LIABILITY IS BASED. In the event that any of the foregoing limitations are deemed to be unenforceable, to the greatest extent permitted by law, you agree that the entire aggregate liability of flourishsupportiveliving.com and sole remedy available to any Member in any case in any way arising out of or relating to the Agreement, Websites or the Service shall be limited to monetary damages that in the aggregate may not exceed the greater of $500.00 or the sum of any amount paid by the Member or user to flourishsupportiveliving.com during the six months prior to notice to flourishsupportiveliving.com of the dispute for which the remedy is sought. c. any activity related to your account, either by you or by any other person accessing your account with or without your consent unless such activity was caused by the act of flourishsupportiveliving.com . 16. Attorney Fees. In the event that flourishsupportiveliving.com is successful in whole or in part in any action or proceeding related to or arising from this Agreement, you shall be responsible for flourishsupportiveliving.com’s attorneys’ fees and costs. 19. Jurisdiction and Choice of Law; Dispute Resolution. If there is any dispute arising out of the Websites and/or the Service, by using the Websites and/or Service, you expressly agree that any such dispute shall be governed by the laws of the State of Texas, without regard to its conflict of law provisions, and you expressly agree and consent to the exclusive jurisdiction and venue of the state and federal courts of the State of New York, for the resolution of any such dispute. Acceptance of the terms and conditions of this Agreement constitutes your consent to be sued in such courts and to accept service of process outside the State of Colorado with the same force and effect as if such service had been made within the State of Texas. You hereby agree to accept service of process for any action hereunder by certified mail return receipt requested which service shall have the same force and effect as though service had been affected by personal service in the applicable jurisdiction. If any part of these terms is unlawful, void, or unenforceable, that part will be deemed severable and will not affect the validity and enforceability of the remaining provisions. 20. Arbitration Provision/No Class Action. Except where prohibited by law, as a condition of using the Websites and/or Service, you agree that any and all disputes, claims and causes of action (collectively, “Claim”) arising out of or connected with the Websites and/or Service, shall be resolved individually, without resort to any form of class action, exclusively by binding arbitration under the rules of the American Arbitration Association for full and final settlement of such Claim, and judgment on the award rendered in the arbitration may be entered in any court having jurisdiction thereof. Such arbitration shall be held in accordance with the Rules for Expedited Procedures under the Commercial Arbitration Rules of the American Arbitration Association or other mutually agreeable organization, before a single arbitrator (with knowledge and expertise of copyright law if the claim is all or partially for copyright infringement), selected by agreement of both parties or by an independent mediator (with knowledge and expertise of copyright law if the claim is all or partially for copyright infringement) if the parties are unable to agree. The parties shall split the arbitration and/or mediator costs. An award rendered by the arbitrator(s) may be entered and confirmed by the courts of the State of Texas, County of Denver. The parties agree that any post-arbitration action seeking to enforce an arbitration award or action seeking equitable or injunctive relief shall be brought exclusively in the courts of the State of Texas, County of Denver . 23. Entire Agreement. This Agreement contains the entire agreement between you and flourishsupportiveliving.com regarding the use of the Websites and/or the Service. 24. Severability; Waiver. If any provision of this Agreement is found to be invalid by any court having competent jurisdiction, the invalidity of such provision shall not affect the validity of the remaining provisions of this Agreement, which shall remain in full force and effect. No waiver of any term of this Agreement shall be deemed a further or continuing waiver of such term or any other term. In addition, flourishsupportiveliving.com’s failure to enforce any term of this Agreement shall not be deemed as a waiver of such term or otherwise affect flourishsupportiveliving.com’s ability to enforce such term at any point in the future.